Curite: Mineral information, data and localities. 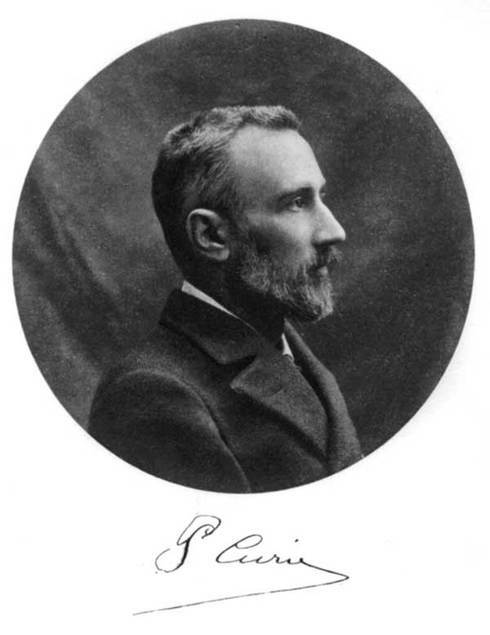 After Pierre Curie (1859-1906), French physicist, famous for his research with his wife, Marie Sklodowska-Curie, on radioactivity. 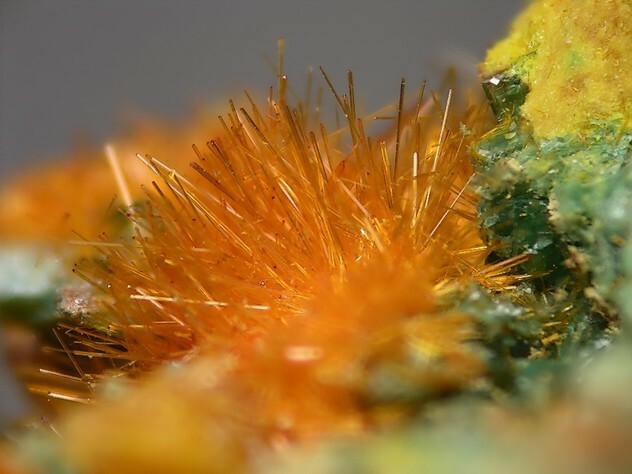 This page provides mineralogical data about Curite. Crystals prismatic  and striated . Massive. In aggregates of fine needles or saccharoidal. Compact earthy. Thorian Curite Typical constituent of gummites, replacing Th-bearing varieties of uraninite (Bröggerites). Able contain 10 and more wt.% of ThO2. Soddyite 24 photos of Curite associated with Soddyite on mindat.org. Uraninite 24 photos of Curite associated with Uraninite on mindat.org. Torbernite 17 photos of Curite associated with Torbernite on mindat.org. Kasolite 14 photos of Curite associated with Kasolite on mindat.org. Metatorbernite 14 photos of Curite associated with Metatorbernite on mindat.org. Uranophane 11 photos of Curite associated with Uranophane on mindat.org. Heterogenite 9 photos of Curite associated with Heterogenite on mindat.org. Schoepite 7 photos of Curite associated with Schoepite on mindat.org. Becquerelite 7 photos of Curite associated with Becquerelite on mindat.org. Gummite 6 photos of Curite associated with Gummite on mindat.org. Schoep, A. (1921) La curite, nouveau minéral radioactif. Comptes rendu de l’Académie des sciences de Paris: 173: 1186-1187. Wherry, E.T., Poitevin, E. (1922) New species. American Mineralogist: 7: 128-129. Schoep, A. (1930) Ann. us. Congo belge: 1(2), er. 1: 22. Palache, C. (1934) Crystallography of the uranium oxides. American Mineralogist: 19: 309-315. Palache, C., Berman, H., Frondel, C. (1944) The System of Mineralogy of James Dwight Dana and Edward Salisbury Dana Yale University 1837-1892, Volume I: Elements, Sulfides, Sulfosalts, Oxides. John Wiley and Sons, Inc., New York. 7th edition, revised and enlarged: 629-631. Tschermaks Mineralogische und Petrographische Mitteilungen: 26: 279-292. Li, Y., Burns, P.C. (2000) Investigations of crystal-chemical variation in lead uranyl oxide hydrates. I. Curite: Canadian Mineralogist: 38: 727-735. Kubatko, K.-A., Helean, K., Navrotsky, A., Burns, P.C. 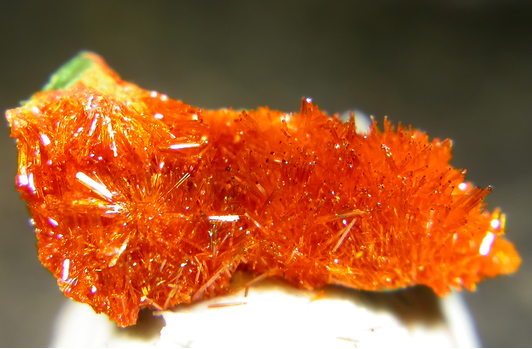 (2006) Thermodynamics of uranyl minerals: Enthalpies of formation of uranyl oxide hydrates. American Mineralogist: 91: 658-666. Schindler, M., Mandaliev, P., Hawthorne, F.C., Putnis, A. (2006) Dissolution of uranyl-oxide-hydroxy-hydrate minerals. I. Curite. The Canadian Mineralogist: 44: 415-431. Frost, R.L., Cejka, J., Weier, M.L. 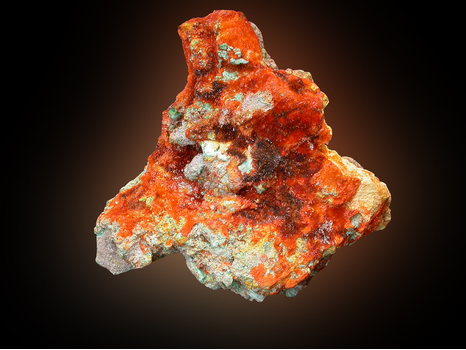 (2007) Raman spectroscopic study of the uranyl oxyhydroxide hydrates: becquerelite, billietite, curite, schoepite and vandendriesscheite. Journal of Raman Spectroscopy: 38: 460-466. Waite & Payne (1993) Uranium Transport in the subsurface environment - Koongara - a case study in Metals in Groundwater H. Allen et al ed. CRC Press ; Isobe, H., Murakami, T., & Ewing, R. C. (1992). Alteration of uranium minerals in the Koongarra deposit, Australia: Unweathered zone. Journal of Nuclear Materials, 190, 174-187. Frost, Ray L. and Cejka, Jiri and Ayoko, Godwin A. and Weier, Matt L. (2007) Vibrational spectroscopic study of hydrated uranyl oxide: curite. Polyhedron 26(14):pp. 3724-3730. Shalaby, M., Osman, A., Ali, M., Ahamed, F., & Ali, B. (2002). Radioactive Mineralization in Pegmatites, of Dara-Um Swassi, Area North Eastern Desert, Egypt. Bulletin of the Polish Academy of Sciences. Earth Sciences, 50(1), 51-66. Behier, J. (1960): Contribution á la Minéralogie de Madagascar. Annales Géologiques de Madagascar XXIX, Tananarive, 78p.